SDI Video Outputs: 2 x SDI Video Outputs. 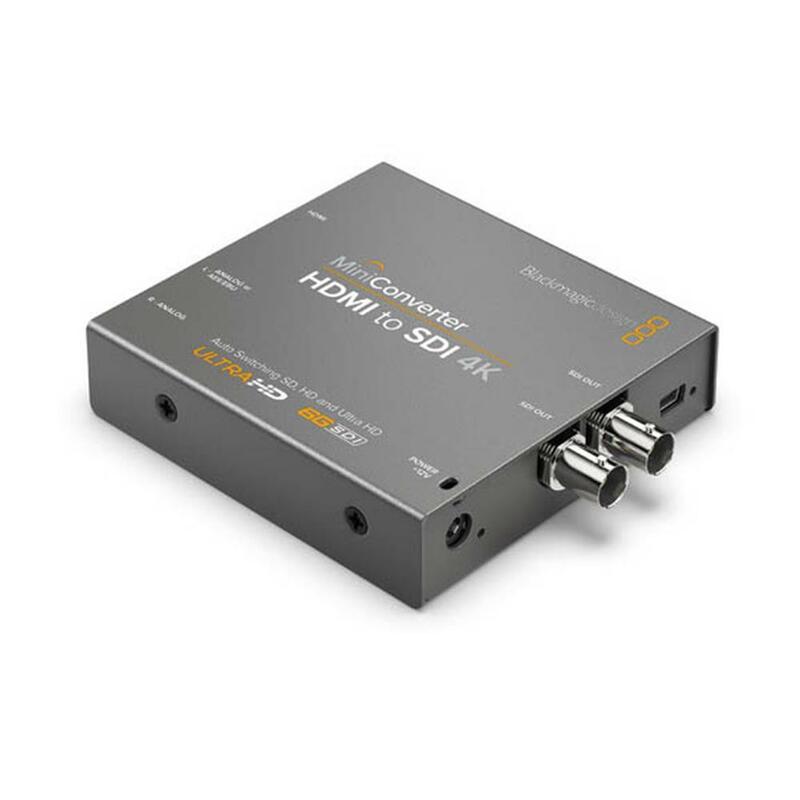 Automatically matches the SD, HD and 6G-SDI HDMI video input. Analog Audio Inputs: 2 channels of professional balanced analog audio with standard 1/4 inch jack connections. Digital Audio Inputs: 2 channels of AES/EBU digital audio. SDI Compliance: SMPTE 259M, SMPTE 292M, SMPTE 296M, SMPTE 372M, SMPTE 424M-B, SMPTE 425M, SMPTE ST-2081, ITU-R BT.656 and ITU-R BT.601. Mac OS X 10.10 Yosemite, Mac OS X 10.11 El Capitan or later.